Hablot Knight Browne (1815-1882) was an English artist, famous for illustrating works by Charles Dickens. Hablot Knight Browne was born on 15 June 1815 in Kennington and was apprenticed to the engraver William Finden who gave him his only artistic education. At the age of 19 he gave up engraving to pursue other artistic interests. When Charles Dickens’s first illustrator, Robert Seymour, died Browne applied for the vacant post and got the job over the rival W.M. Thackeray. Dickens liked Browne’s interpretation of his work and used him to illustrate many of his later works including Pickwick, David Copperfield, Dombey and Son, Martin Chuzzlewit, and Bleak House. 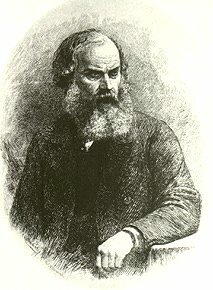 Browne signed his work with the name “Phiz” to complement Dickens’ “Boz”. Browne’s work was soon in great demand by publishers and he illustrated books for Charles Lever and Harrison Ainsworth. Unfortunately he suffered a paralysing stoke in 1867 that effectively ended his career. He died in Brighton on 8 July 1882.